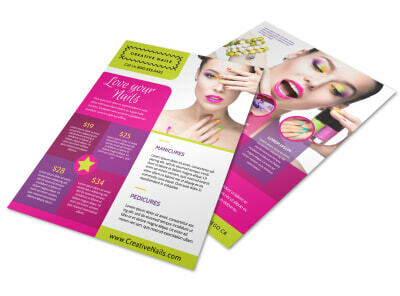 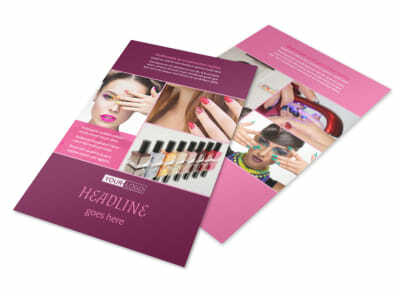 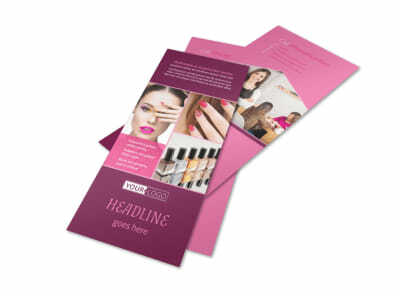 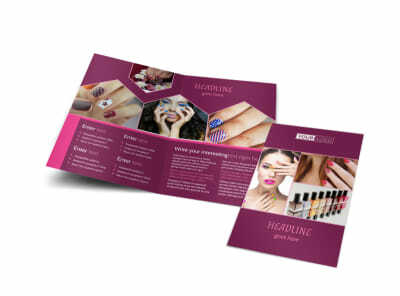 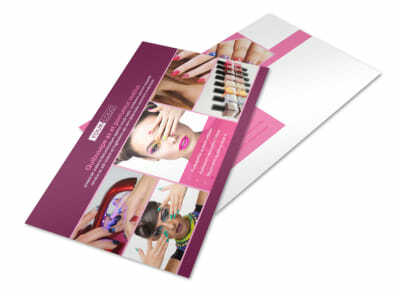 Customize our Nail Salon Brochure Template and more! 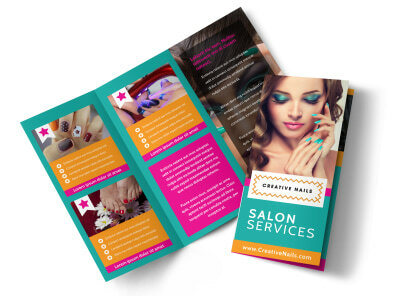 From gels to acrylics, let locals know what services you offer with nail salon brochures you customize yourself. 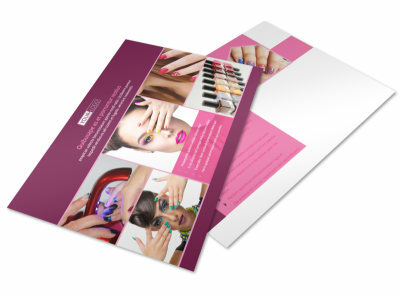 Select a template, and that add your special touches to show off your handiwork, including pictures of manis and pedis you've done, custom text, and more. 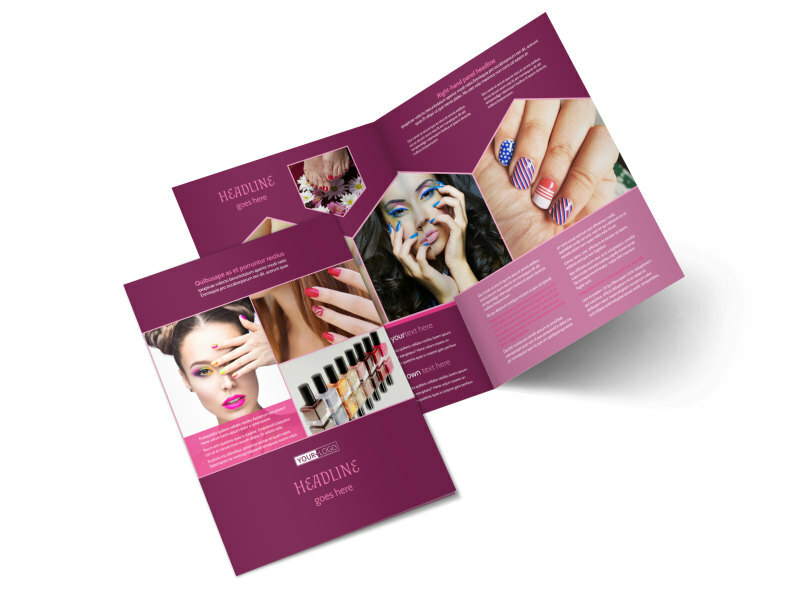 Print your bifold or trifold brochures from your location, or trust us to handle the printing while you file, sand, paint, and polish.